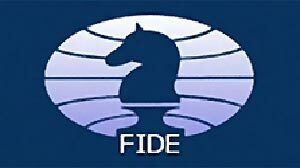 The World Chess Federation, FIDE, has announced the top players for the month of September in a new rating list. GM Magnus Carlsen takes the top position with 2823. The other two players above 2800 are the World Champion Viswanathan Anand and the World Team Champion Levon Aronian. They are closely followed by GM Vladimir Kramnik, who with rating of 2791 is ready to join them in the 2800 club. Interesting enough, exactly these players will face each other in the Botvinnik Memorial 2011 which will be with special rapid mode analysis at the live games plaform. With 48 players above 2700, you practically need this rating to be in the top 50 in the world. The scale is not steep enough and we find the 100th position at 2648, just 50 points away. Interesting is the comparion with a list from 2008 where there were no 2800+ players, 2700 meant you are on the verge of top 20, while 2627 guaranteed you a spot in top 100. Statistically, the average rating of the top 100 players grows to the psychological 2700 barrier. That means that a player needs 56 ELO points more than in the year 2000 to hope for a spot in top 100. Here is the full rating list of the top 100 players.